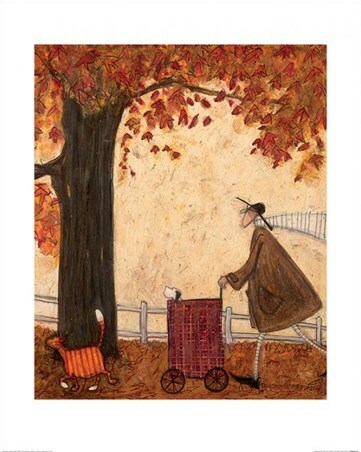 Art Print: This magical picture by British artist Sam Toft is truly heart warming. 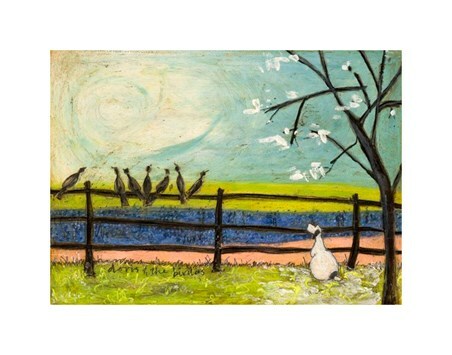 Mr Mustard's, loyal and rather plump Jack Russell 'Doris', is sitting under a tree watching the birds as they sit and twitter on a fence. The sky is a swirl of colours, while the fields are a wash of pinks, blues and yellows. 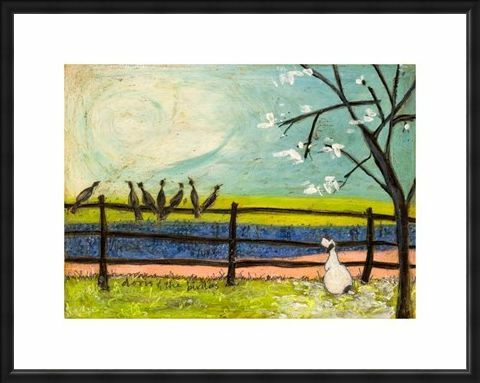 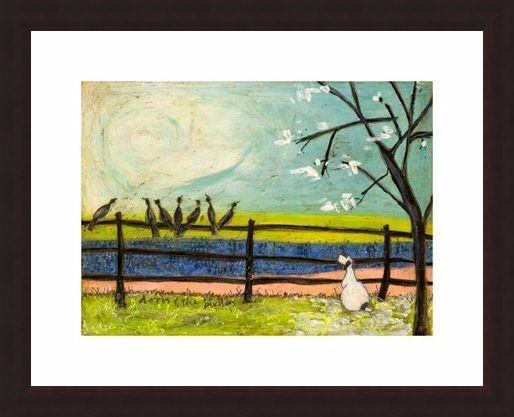 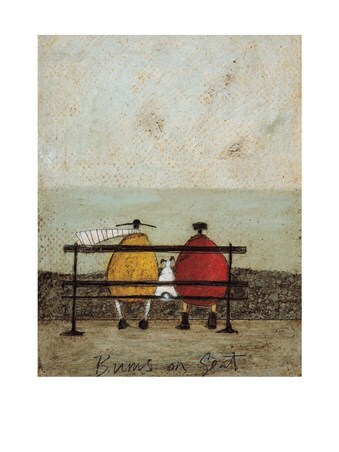 This art print by the much loved Sam Toft would be perfect for bringing that loving feeling into your home. 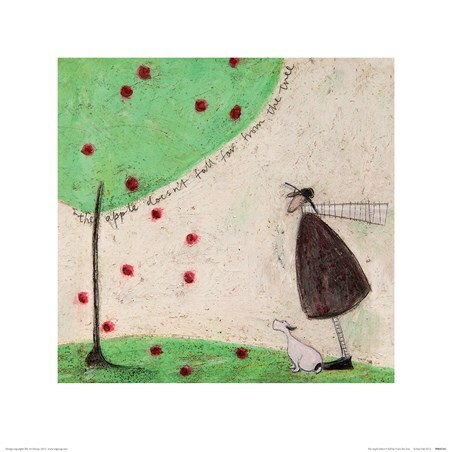 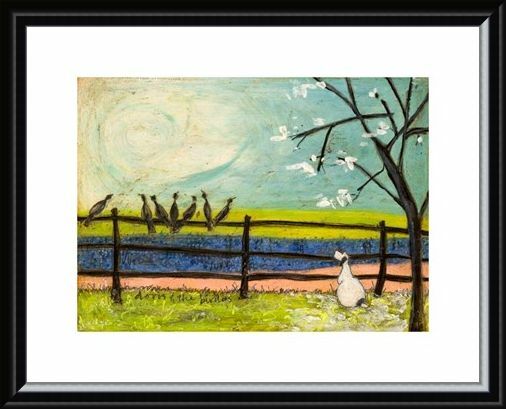 High quality, framed Doris & The Birdies, Sam Toft print with a bespoke frame by our custom framing service.